How Long Does It Take to Get a Master’s in Education? If you have a passion for teaching, you may have decided that an advanced degree in education is the right career path for you. As you set goals for your career, however, you may be wondering just how much time you will end up investing in your education. 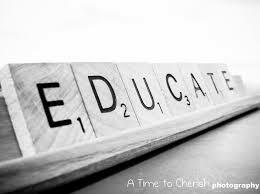 How long a master’s degree in education will take depends, of course, on where you are in your education now. Before you can get an advanced degree, you need to complete a bachelor’s degree. A B.Ed. will take at least four years, though it may take longer depending on how you approach it. Some students get a four year degree in a specific subject and then do additional work for the educational degree, while others do a B.Ed. straight through or in combination with another BA degree. It’s possible that you may be able to enroll in a program that combines bachelor and master’s level work. That takes up front planning and may not be the best option for everyone, as putting space between one degree and the other will give you practical time in an actual teaching job, not just an internship. Getting experience may help you build confidence, as well as provide you with a better sense of any sort of specialization or emphasis that you might want to go into at the master’s level. That may be especially pertinent in the education field, because an M.Ed. tends to be a specialized degree. Many teachers decide to get an advanced degree because of a special interest or because they want to further their career in a certain direction. This may be special education, education administration, curriculum development or another option. Having hands-on experience could help you discern the best advanced degree for you. Whenever you do enter a master’s level program, the length of time it takes to complete it will also vary depending on whether you go part-time or full-time. While some master’s programs can be completed in one to two years if you go full-time, that can feel like a long time to take away from work. On a practical level, you may not be able to financially afford that long a time as a full-time student. Taking one or two classes a semester or taking some classes online, rather than carrying a full traditional load, could enable you to continue working while you pursue your degree. So factor in that possibility as you look at your overall timeline. Choosing to pursue a master’s feels like a momentous decision. You may initially feel daunted at the prospect of going back to school for a period that could range anywhere from a little over a year to a handful of years, depending on how you choose to pursue the degree. Keeping the endgame in mind will be helpful. Job prospects in the education field remain strong. Remind yourself that an advanced degree can help you gain skills to go where you really want to go career-wise. The investment of your time will hopefully pay off in the long run with increased opportunities to put your skills and enthusiasm to work. Here is a look at the “25 Highest Paying Jobs in Education“.